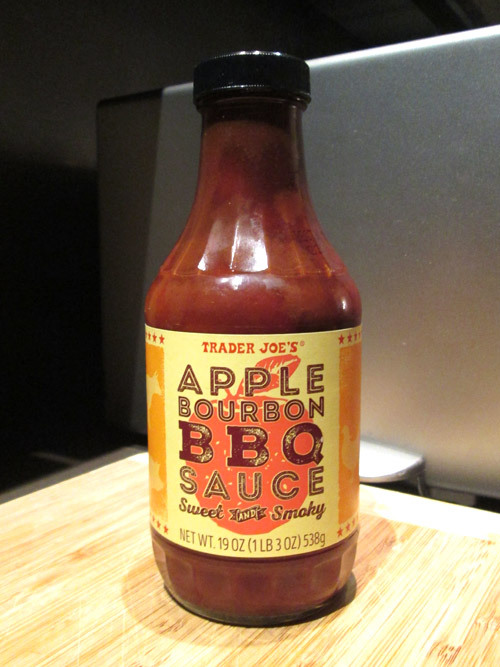 I'm a huge fan of apple flavored things, as well as barbecue, so when I saw this sauce, I was super excited. Unfortunately, after trying it, I was a lot less excited. The good news: this sauce is AWESOME if you want to eat it with pork. 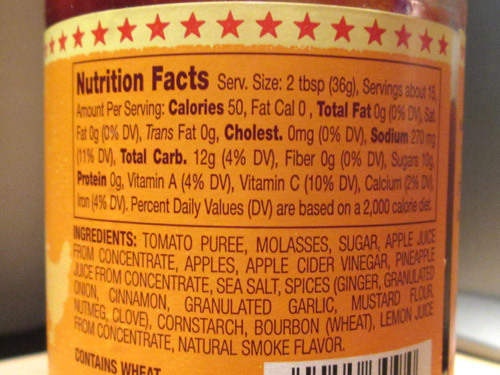 The bad news: this sauce is only okay if you want to eat it with chicken. I originally tried it on chicken and was disappointed by it. There was something about it that was too sweet, without much smokiness, tanginess, or spiciness that I could get into. I actually considered throwing it away, but I kept the bottle around, and a few weeks later when I had some pork I ended up deciding to try it again. I actually really liked it on the pork. It didn't seen as sweet, and the pork seemed to bring out some of the smokey flavor from the bourbon. I think if I'd have tried it on pork to start out, I'd have liked the sauce a lot more overall, but I didn't. That being said, while I'd buy it again if I was making a lot of pork, my odds of realistically buying it any time soon are low considering there are more versatile sauces I could opt for instead.